We received a Queen-sized Sleep Shredded Memory Foam Pillow with Bamboo Cover from the company CR. I have had trouble for years finding good quality pillows. Most of them that I have slept on I wouldn't even reccomend to anyone. If I'm recommending a pillow it most definitely has to be superb quality. 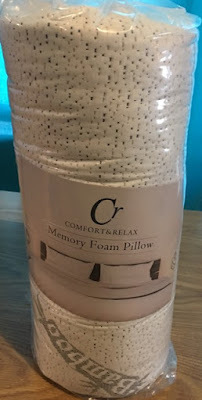 The memory pillow from CR is a pillow you should consider using. It measures 28" x 18" x 5", a queen size. It is imported. The pillow is memory foam while the cover of this pillow is 35% Bamboo and 65% Polyester. This pillow is made of premium shredded memory foam. The Bamboo fiber is a natural and healthy kind of green material. It's great for odor neutralization, humidity control and thermo preservation. The bamboo polyester cover helps to ensure you feel cool and comfortable throughout the whole night. The shredded memory foam pillow responds to temperature and pressure to mold to your shape creating the perfect support for your head, neck and shoulders. This is one of the most comfortable pillows I have had in a long time. It is great for back, side or stomach sleeping. 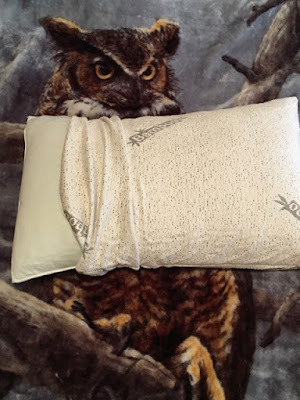 The pillow is has been widely used among people who have chronic pain. It has helped ease and improve health problems such as snoring, cervical and neck pain, insomnia, stroke and concentration loss. The pillow was designed to provide optimal spinal alignment and help the user enjoy better quality of sleep. Your head will sink down into the pillow just enough to hold your head in the best place possible. It's naturally antimicrobial and resistant to allergens such as mold, dust mites, and other bacteria. pillow does not contain any toxic ingredients like formaldehyde, methane chloride, or PBDE and provides a protective barrier. These were a nice surprise in with our pillow. 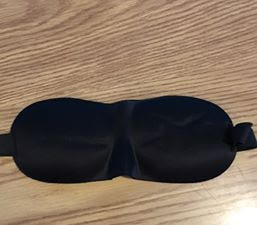 My son, 36, confiscated them and says they are exactly what he needed as even his room darkening curtains didn't help if someone open the bedroom door. I have enjoyed many peaceful nights on this pillow. I have found I have not been waking up as many times during the night. The zippered pillow makes it easy to keep clean and washable. The pillow comes with care instructions. Its like resting your head on a cloud. This pillow sounds comfy. I haven't been happy with my pillows lately. They don't seem to hold up. Maybe I will check this out. Great review and nice post. 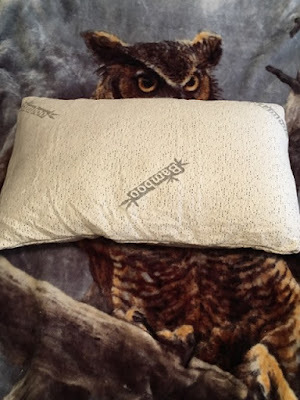 This pillow seems so comfortable and it will a great gift for my son. thanks for sharing. That pillow sounds heavenly! I need a good pillow. I've slept on memory foam pillows before. They really are different from one another. I've slept on one that was as hard as a rock, and one that was very soft. I prefer the softer kind. But the hard one is good for my shoulder when I sleep on my side. I really do have problems looking for pillow that is comfy. Great I found this. Must try this to see how comfy is this. That does sound dreamy! A good night's sleep is a rare treasure for parents, and I'm definitely looking to help make the sleep I get quality rest. Time for an upgrade! I have the exact same bamboo pillow and it contours to the shape of my head. It's so comfortable and I love it. I have the eye plugs and love them too! This pillow sounds exactly like what I have been looking for! I am going to look for one and give it a try. Looks like a comfy breathable pillow, promotes good neck and back health. I find this important since we spend most of our lives asleep.